Simon Shackleton is a hugely prolific, award-winning electronic musician and DJ with 20 successful years in the industry, under a number of different guises. 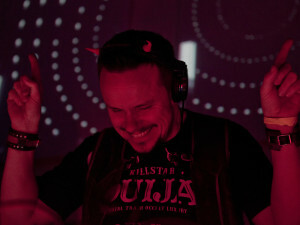 Simon’s music has appeared on Hollywood Blockbusters, million-selling console-games, and sound-tracks many of the world’s biggest club floors with his unique brand of emotive house & techno on a weekly basis. Simon’s career began way back in his Acid-House-era University days where he studied classical composition and edited the Monthly Campus-wide Magazine with a staff of 15. A chance meeting with a young Thom Yorke led him not only to cutting his first vinyl (these 7”s now go for hundreds of pounds), but also paved the way for a DJ & music production career now going 24 years strong. His debut show was to 1200 people, playing a wildly eclectic blend of styles & sounds for 5 hours straight. That was before he owned a set of decks. 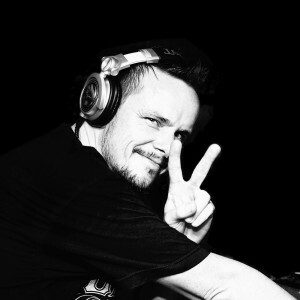 Over the past two decades he has run multiple award-winning record labels, including Stereophoenix, U&A and Fused & Bruised, whilst finding time to headline festivals from the US to Australia and cause dancefloor bedlam anywhere from Canada to mainland China. He can also look with serious satisfaction on a career in film and TV that has seen his music appear on movies such as The Matrix and Charlie’s Angels, whilst Wipeout, Motorstorm and most recently Driveclub are all #1-selling console games that he has soundtracked. He has previously soared with aliases such as Elite Force, Zodiac Cartel, and Lunatic Calm, but he is now increasingly renowned and respected for his outstanding, and often heroically long, House & Techno DJ sets under his own name. His One Series events (One DJ, One Room, All Night) epitomize his passionate and community-orientated spirit, cultivating a devoted following of participants and creative collaborators around the world. Piece of Me, Simon’s first album in 10 years, will be released in May of 2016 on his newly formed Scene & Herd label. A musical journey that is rich and varied, it is an eclectic album ranging from driving Chemical’s-esque techno to indie-infused rock-tronica with comparisons that range from Pink Floyd to Underworld. It is truly electronic music with heart and soul. 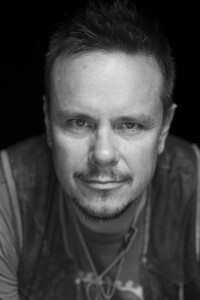 He has also had recent releases on Mango Alley and Nick Warren’s Hope Recordings. The One Series parties remain a priority, with San Francisco, Sydney, London, LA and Denver all strongholds for these spectacular self-promoted events. Meanwhile, Simon expands his quiver with a budding career in photography, and is becoming an increasingly essential ingredient for many game developers as a sound designer and content creator, whilst also moving into the world of the silver screen with high profile collaborations with the likes of two-time Oscar-Winner, Klaus Badelt (Gladiator / Pirates of the Caribbean) and Angry Mob Music.